We will confirm that we would like to assess your jewelry after we receive your photo and information. However, before we can determine the actual amount we are willing to pay, we must of course see the piece(s) in person. We will provide a free, insured, Selling-Fine-Jewelry kit for you to send us your unwanted jewelry. How do we determine value? When determining the value of estate jewelry, Ross-Simons expert appraisers take into consideration the jewelry's design, history and maker. Beyond the intrinsic elements (i.e. diamonds, gemstones and precious metals contained in a piece), we carefully take into account the non-tangible qualities of fine vintage jewelry. Ultimately Ross-Simons will examine your antique and estate jewelry in our Gemological Laboratory by our expert gemologists and buyers. Diamonds, Gemstones, Gold, and Platinum constitute the intrinsic value of an antique and estate jewelry piece. We value diamonds and gemstones for their quality and rarity, and diamonds have added value when accompanied with a certificate of quality. Diamonds are evaluated based on the 4 C's - Carat, Cut, Color and Clarity. We test the gold karat weight. Some antique and estate jewels are one-of-a-kind. In addition to being individually hand-crafted, some antique and estate jewels are made by famous jewelers such as Cartier, Tiffany, Van Cleef & Arpels and many others. Ross-Simons happily pays a large premium for fine signed pieces. If large diamonds and gemstones are highlighted in a fine piece of jewelry, they make the jewelry even more rare and desirable. Often rarity can be solely in the unique nature of the piece of jewelry and is not predicated on the intrinsic value. Ross-Simons will pay premium prices for signed jewelry, exquisite examples of period jewelry, antique and estate diamond jewelry as well as engagement rings. As always, fashion trends influence the demand for certain periods, materials and gemstones. Ross-Simons expects minimal signs of wear on antique and estate jewelry that we purchase. Jewelry with apparent repairs and restoration can be devalued. Alterations from the original can result in devaluation as well. NEW SELLER? Let's get started! Request your Free Shipping Packet Today! Upload your photo. We will evaluate your jewelry and send you a prepaid shipping kit. Selling scrap gold? Visit our Gold Exchange. I accept the Ross-Simons Terms & Conditions. Please note that Ross-Simons does not buy everything. We will make a preliminary determination of our interest from your photo & information. Ross-Simons & Gold Exchange customers must set up a new account for a Ross-Simons Selling-Fine-Jewelry Kit. The personal information you have provided us and information about your order may be shared with third parties. This information may be combined with other personally identifiable information (such as demographic information and past purchase information) available from our records and other sources. We do not share any financial data, including your credit card information, with anyone. This information will be used to make our future marketing efforts more efficient. It may also be used by our marketing partners to bring you offers of interest. If you prefer we do not share your name and address with marketing partners, please contact Customer Service. If you agreed to receive e-mail from our marketing partners, we will share with them your e-mail address and the information described above, so they can send you offers for products and services that may be of interest to you. Additionally, each e-mail our partners send you will include a description of the simple opt-out process to enable you to stop receiving future e-mail. We also track aggregate information on what pages consumers access or visit and information volunteered by the consumer, such as survey information. The information we collect is used to improve the content of our Web site, or used to contact consumers for marketing purposes. We contract with Google to serve ads on our behalf across the Internet and sometimes on this site. They will collect anonymous information about your visits to our Web site, and your interaction with our products and services. They may also use information about your visits to this and other Web sites to target advertisements for goods and services. These targeted advertisements may appear on our site or on other sites that you visit. The anonymous information is collected through the use of a pixel tag, which is industry standard technology used by most major web sites. No personally identifiable information is collected in this process. If you do not want to receive e-mail from us in the future, you may unsubscribe. You can also contact Customer Service at 1-800-835-0919 or write to us at 8 Ross-Simons Drive, Cranston, RI 02920 and tell us that you do not want to receive e-mail from our company. If you supply us with your postal address on-line you may receive periodic mailings from us with information on new products and services or upcoming events. If you do not wish to receive such mailings, you may unsubscribe. You may also let us know by contacting Customer Service at 1-800-835-0919 or writing to us at the address shown below. Please provide us with your exact name and address. We will be sure your name is removed from the list. Persons who supply us with their telephone numbers on-line may receive telephone contact from us with information regarding orders they have placed on-line. If you do not wish to receive such telephone calls, please contact Customer Service at 1-800-835-0919 or by writing to us at the address shown above. Please provide us with your exact name, address and correct phone number. To ensure that you receive only the catalogs you enjoy, please call or mail and let us know 1) you want to receive Ross-Simons catalogs but do not want us to share your name with other companies, 2) your address has changed, 3) you receive duplicate catalogs or 4) you no longer wish to receive Ross-Simons catalogs. Please include full name, address and ID# as printed on Order Form. Mail: Ross-Simons Mail Preference Service, 8 Ross-Simons Drive, Cranston, RI 02920-4476. Please note: our mail files are prepared two months in advance of a mailing date and it may take up to eight weeks to stop receiving catalogs. Paper used in Ross-Simons catalogs is biologically degradable, recyclable and can be destroyed without adversely affecting the environment. We make regular donations to ecologically responsive organizations and support recycling at our headquarters. The Terms and Conditions contained herein ("The Agreement") shall be binding on each and every customer ("Customer" or "Seller" or "You") of Ross-Simons. These Terms & Conditions are subject to change without notice. Current Terms and Conditions are available by going to www.sellingyourfinejewelry.com and clicking on Terms & Conditions. Any such changes will be immediately posted on sellingyourfinejewelry.com, and apply as soon as they are posted. For the purpose of this Agreement, sellingyourfinejewelry.com shall be referred to collectively as "We" or "Us." What We purchase shall be referred to as "jewelry," "content," "goods," "items," "material" or "shipment." Ross-Simons purchases your fine jewelry for resale. The payout value We pay to each Seller is based upon the value as determined by our expert appraisers after we see the item in person. We will return your merchandise if We determine it does not meet our inventory needs. We do not accept items which are new or appear to be new (i.e. contain price tickets or other manufacturing tags or tickets). For questions or for Customer Service, You may contact us via e-mail at sellingyourfinejewelry@ross-simons.com,�or by telephone at 1-800-348-4414. However, e-mails will be the primary form of communication between Ross-Simons and the Customer. E-mails sent from Ross-Simons to the Customer will be conclusive and binding. Obtain a registration number from Ross-Simons by sending us a picture of your fine jewelry. We will confirm that we would like to assess your jewelry after we receive your photo and information. Please include any information such as diamond certificates and appraisals. However, before we can determine the actual amount we are willing to pay we must of course see the piece(s) in person. We will provide a free, insured Selling-Fine-Jewelry kit for you to send us your unwanted jewelry. Follow the instructions supplied in the kit for sending your jewelry items to Ross-Simons. When Ross-Simons receives your package, You will receive an email. Your jewelry is unpacked, and tested to determine the value. The unpacking is recorded on video webcam and can be viewed online. The payout value We offer is based on the value determined by our expert appraisers. As soon as a value for your jewelry is determined, You will receive an email with the amount. Log in to your account to accept or reject the offer. Upon acceptance,�a check will be mailed to You via UPS Second Day shipment. If You are dissatisfied with the amount, You may return your uncashed check to Us within 14 days from the date of issuance of the check and We will return your merchandise to You. (See "Material Return" below.) If you cash the check, you cannot change your mind, and the sale of jewelry is final. You must be at least twenty-one (21) years of age, in order to sell jewelry to Ross-Simons.com. In addition, you must be the actual legal owner of any and all jewelry, or other property sold, or attempted to be sold, to Ross-Simons.com, and you must be acting on your own behalf and not as an agent or representative of any other person or any company. We may request documentation of proof of age or ownership. By shipping your goods to Ross-Simons.com, you accept all terms and conditions set forth herein and those described on our website, which are subject to change. Ross-Simons.com will guaranty against loss of the total contents when properly shipped to Ross-Simons.com, in accordance with the instructions and procedures established by Ross-Simons.com, and subject to the Terms and Conditions herein. We reserve the right to reject delivery of any mail, envelope or package which appears to be damaged, opened, or tampered-with, and any such mail, envelope or package will be returned by the postal service or courier service to the Customer. Ross-Simons.com shall have no liability to any Customer for any such attempted delivery or return of any such items. This limitation of liability shall be binding on each and every Customer and on any third party, including, but not limited to, the Customer and the Customer's successors, assigns, insurance carriers and any other individual or entity asserting any right or claim relating to Customer's transaction with Ross-Simons. In no event shall Ross-Simons be liable to any third party, including any insurance carrier, nor shall Ross-Simons be liable for any subrogation claim brought by the Customer's insurance carrier. By submitting an item to Ross-Simons, the Customer expressly and specifically waives any such subrogation claim on his or her behalf, as well as on the behalf of his or her insurance carrier. Neither Ross-Simons or the carrier will be liable of any amount over the total insurance value as defined in your shipping kit. Insurance Limitations on Property Shipped: Items sent to Ross-Simons using a valid shipping label obtained from www.sellingyourfinejewelry.com or by ordering from the toll-free number 1-800-348-4414, are insured with the carrier for a maximum value of five hundred dollars ($500). If Ross-Simons believes the total insured value of your items to be more than $500, we will make special arrangements for additional insurance. We will include the total insurance value in the shipping kit. It is the Customer's responsibility to have carrier electronically scan their package into the carrier's tracking system to ensure that carrier accepted possession of package. If You believe your jewelry is worth more than $500 or our offer of insurance, We recommend that You contact us for further instructions. Neither Ross-Simons or the carrier will be liable of any amount over the total insurance value as defined in your shipping kit. Material Return: Any merchandise returned will be insured for a minimum of $500 or the maximum insurance value as determined by Ross-Simons and defined in your shipping kit. The insurance value will be posted on-line to your account as part of the normal process defined above if the insurance value exceeds $500. Claims for any losses that occur during shipment are subject to the filing of an appropriate claim and the approval of such claim by the carrier and/or its insurance company. If You believe your jewelry or other material is worth more than $500 or our offer of insurance, We recommend that You contact us for further instructions. No Other Liability: Ross-Simons shall not be liable to anyone for any damages, including, but not limited to, incidental, consequential, punitive, loss of sentimental value, loss of profit or opportunity - other than as set forth herein above. By submitting your items, You explicitly and expressly accept this limitation of liability. Any merchandise returned to You will be insured for $500 or the appraised value, if the appraised value exceeds $500, as determined by Ross-Simons, regardless of what the merchandise was insured for when initially submitted by You to Ross-Simons - unless Ross-Simons is otherwise notified by e-mail or fax by You prior to Ross-Simons's shipment of the returned merchandise, and You agree to pay for the cost of any extra insurance requested. Ross-Simons shall, in its sole discretion, choose the return carrier, insurance amount and receipt-verification method for each transaction. The Agreement shall be governed by the laws of the State of Rhode Island, without regard to its conflict of law provisions. Ross-Simons.com's failure to exercise or enforce any right or provision of the Agreement will not be deemed to be a waiver of such right or provision. If any provision of the Agreement is found by a court of competent jurisdiction to be invalid, the parties nevertheless agree that the court should endeavor to give effect to the parties' intentions as reflected in the provision, and the other provisions of the Agreement remain in full force and effect. You agree that, regardless of any statute or law to the contrary, any claim or cause of action arising out of or related to use of the services offered by Ross-Simons.com must be filed within one (1) year after such claim or cause of action arose, or be forever barred. Any such claim or cause of action must be filed in the State of Rhode Island. Ross-Simons.com shall be entitled to reimbursement for any and all costs incurred by it in defending any civil action filed, or attempted to be filed, in any jurisdiction outside of the State of Rhode Island, including but not limited to, attorney's fees incurred by Ross-Simons.com. If your payment is cashed or deposited in a bank or financial institution, this will constitute an acceptance by You of the terms offered by Ross-Simons and your acceptance of the transaction, at such time this transaction will be final and your material will be processed for refinement. If You change your mind about selling your material, or are dissatisfied with the amount of the payment You received, You may cancel the transaction or decline the payment amount offered by Ross-Simons. To do so, You must notify us immediately. Go to www.sellingyourfinejewelry.com or call 1-800-348-4414 and notify us of your intention to cancel the transaction. You must also return the un-cashed/un-deposited check to us by mail within 14 days from issuance of the check, and We will return your material to You. If We do not hear from You within 14 days of the date on the check We sent You, the transaction will be final, and your material can no longer be returned to You. This time limitation cannot be waived for any reason. Ross-Simons will not be responsible for any loss or damage of any kind if the time limitation is not strictly followed. Send us clear high resolution images. We know everyone is not a photographer but the following tips might help you take better pictures. Use the macro feature of your camera; do not use the zoom. Use a light background, natural light is best, try photographing near a window. The camera will need to be brought close to the jewelry to fill the screen as mush as possible. Depress the shutter release half way for auto focus and then fully to take the picture. If you do have the appraisal or diamond certificates, you can scan the document and attach it here. In the case of larger diamonds and fine gemstones the center stone information is the most important. Information regarding Color, Clarity, Carat Weight and Cut will help us establish a value. You may not be able to complete the form online. Please email your images, files, descriptions and estimated insurance value to sellingyourfinejewelry@ross-simons.com Please include your contact information. Customer Service will review and respond shortly. 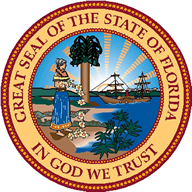 Effective October 1, 2009, the state of Florida requires that we record your drivers license or a state issued Identification number. This information will not be shared or disseminated with any person, company or organization with the exception of the State of Florida, law enforcement at their request. I declare that as of today I am at least eighteen years of age and that all information, including my driver’s license number or other government issued identification number and other identifying information is true and correct. I am the lawful owner of the goods and, as the lawful owner, I have absolute authority to sell the goods. I understand that I am subject to civil and criminal penalties if I am not the owner of the goods. I declare under penalty of perjury that the foregoing is true and correct. WE BUY...diamond, precious gemstones, gold or platinum jewelry in good condition from all eras including Retro, Art Deco, Edwardian, Victorian, Art Nouveau and Modern. We look for unique pieces with unusual designs and fine craftsmanship in pristine, as-new condition. Necklaces, Bracelets, Rings, Earrings, Pins, and Rolex Watches. Designer jewelry from Tiffany, Cartier, and other signed jewelry. Diamond solitaires .50 ct. and above (mounted or loose), diamond stud earrings 1.00 ct. and over, large carat precious gems, fine platinum and diamond jewelry. Slightly chipped diamond solitaires are considered. Fine antique jewelry. Edwardian, Victorian, or Art Deco. Fine jewelry from 1920s, 1930s, 1940s, and 1950s. WE DO NOT BUY... Silver, Silver Plate or Pearl Jewelry. CZ, imitation Stones, or Costume Jewelry. Loose Stones. Gold Plated, Gold Electroplate, Gold Electroplated or G.E.P., Gold Filled or G.F., Gold Plate, Gold Plated or G.P., Rolled Gold Plate, Rolled Gold Plated or R.G.P., Gold Leaf, Gold Overlay. Watches (except Rolex), Charms, Lockets or Chains. We Do Not Buy Damaged, Broken, or Scrap Jewelry of Any Kind: Broken, Kinked, Knotted, Tangled, Chains; Broken Links, Loose Clasps, Loose Findings, Blank Ring Mountings without Stones; Single Earrings, Mismatched Earrings, Loose Earring Backs. You can sell these items in the Ross-Simons Gold Exchange. Non-jewelry items: such as investment metals, housewares. We are strictly law-abiding, and under no circumstances will we knowingly buy stolen merchandise.